Outsourcing payroll has many advantages. Handing over this essential part of business to an external partner can save time, money, and compliance headaches, making it a wise move for multinational companies of all sizes. This is why an increasing number of enterprises and small business owners are turning over their payroll function to professional providers who offer specialized, fully managed payroll services. To discover whether outsource payroll is a good fit for your organization, consider the following benefits. When you are running a business, time is, quite literally, money. Processing payroll in-house is time-consuming and requires lots of attention to detail, and that demand increases as staff numbers grow. Time spent on payroll, managing considerable amounts of data and ensuring no miscalculations are made, is time taken away from the core tasks of your business. Many of the cost savings associated with payroll outsourcing reflect the time a company can win back by not doing these duties in-house. By outsourcing payroll processing, which can include everything from calculating payroll taxes and statutory filings to handling payroll enquiries, your organization could be much better off financially. In-house payroll comes with a lot of risk, including identity theft and embezzlement. Even if you are be confident that your payroll software is secure, there is also the safety of the server or network to consider. Quality outsourced payroll providers protect and store data on highly secure cloud-based servers and use cutting-edge encryption technology to ensure your critical information is safe. They also use electronic payment methods so that if an error occurs, it can be easily traced, helping to protect you against potential losses. This is all included in the outsourced service they provide, while attempting to do the same in-house would be very expensive. 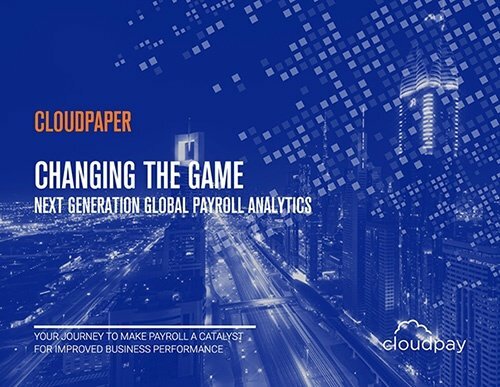 Today’s advanced global payroll providers use cloud-based systems to manage important data, ensuring better data integrity as well as visibility and audit-tracking of payroll processing. Keeping payroll information centralized also enables wider online access for customers, rather than submitting requests in-house that can take days to process. Outsourcing payroll also lets you benefit from the robotic process automation (RPA) used by many specialist payroll service providers to optimize processing, which can improve both the accuracy and timeliness of your international payroll. A top payroll company also offers cross-functional collaborations with related systems, which can be key to the success of an organization. Integration of your HR and payroll systems can offer many benefits over separate functions, including time savings, increased efficiency, and reduced IT and administrative costs. HUman resources and payroll systems integration facilitates seamless sharing of employee data and removes the need for teams to manually transfer data before and after processing, making things faster and more secure. For example, updates made by HR such as promotions, redundancies, or terminations are automatically made available to payroll, saving time in both departments and dramatically reducing the opportunity for errors to occur. Organizations are better protected in this way, as the information used for running payroll, tax filing, and benefits calculations is free from discrepancies. 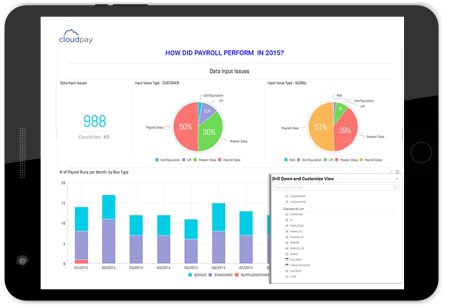 The technology used by outsourced payroll solutions can also deliver important insights into your payroll and human resources management through advanced analytics tools. Going beyond typical reporting capabilities, performance analytics can identify where errors occur and how often, and even the cost impact of those issues and how to prevent them. Organizations of all sizes are outsourcing global payroll to avail of the expertise offered by experienced, fully managed payroll teams. Employment regulations, data and compliance requirements, and tax legislations are complex, prone to change, and vary from country to country. The professionals managing a company’s outsource payroll are required to keep up-to-date on changing regulations and country requirements, and will maintain accurate records and prepare payroll data and statutory filings accurately and on time. It is what they are trained to do. For business leaders, leaving global payroll to the experts reduces the chances of a mistake being made in areas which could result in hefty penalties and fines. It also means spending less time in-house on complex payroll or tax issues, and more time on building sales and marketing strategies, and improving workflow efficiencies. Outsourcing payroll is thinking ahead. 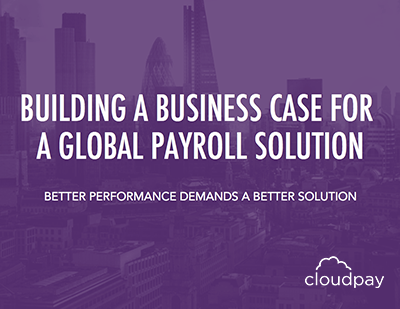 A good global payroll provider offers capabilities that go beyond what your organization can do on its own. An outsourced solution will deliver peace of mind and free up time in your company, ultimately saving you money and reducing compliance risk—and helping you deliver the payroll experience your employees deserve.